We usually dwell at the surface of this greater cosmos, afraid of its unpredictable currents, in which all our civilizational achievements can seem but a glimmer or a shadow. Yet besides our usual desires for the enjoyments of our familiar outer world, we also possess a strong inner urge to connect with this greater unknown reality, even if we do not have any clear idea about what it may be. This drive for transcendence becomes the basis of religion and spirituality, among other deeper searches for truth, though we may reduce these to more mundane compulsions and keep them scaled down into the human world. As the primal reality, Shiva is looked upon in four main ways. Shiva is first the original light of reality, Prakasha. Second, he is the immortal life force, Prana. Third, he is primal sound, OM or Pranava. Fourth he is the primal being or pure consciousness, Atman orPurusha, our own inner Self and true nature. Perhaps most notable for dealing with all of life’s difficulties and dangers is Shiva’s aspect as Tryambakam, the Three-Eyed One orMrityunjaya, the one who takes us beyond death, as the rishi Vasishta lauds in the Rig Veda. We worship the three eyed one, who is fragrant and increases nourishment. As a gourd from its stalk, may he release us from death but not from immortality. Shiva is also the great lord of Prana or the cosmic life energy. The mantras Ham Sa and So Ham, the natural sounds of the breath, reflect the pranic dance of Shiva within us. They represent the voice of Shiva reverberating at the core of our being. In yogic pranayama we are cultivating the power of Shiva or the Cosmic Prana in one aspect or another. 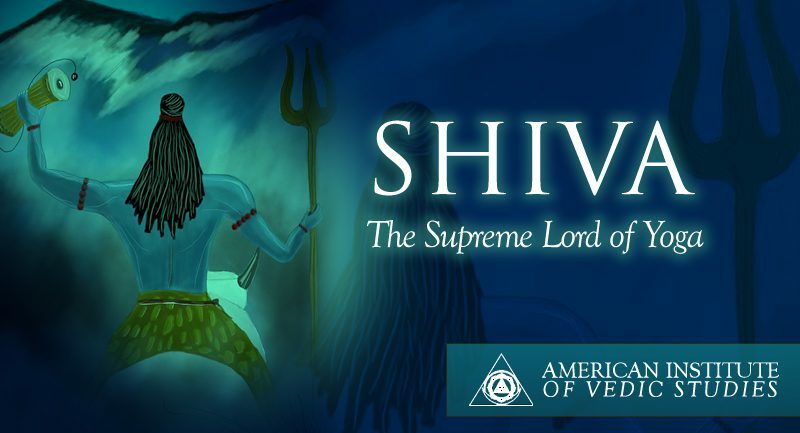 0 responses on "Shiva, the Supreme Lord of Yoga"